← Why Bother With Dog Obedience Training? 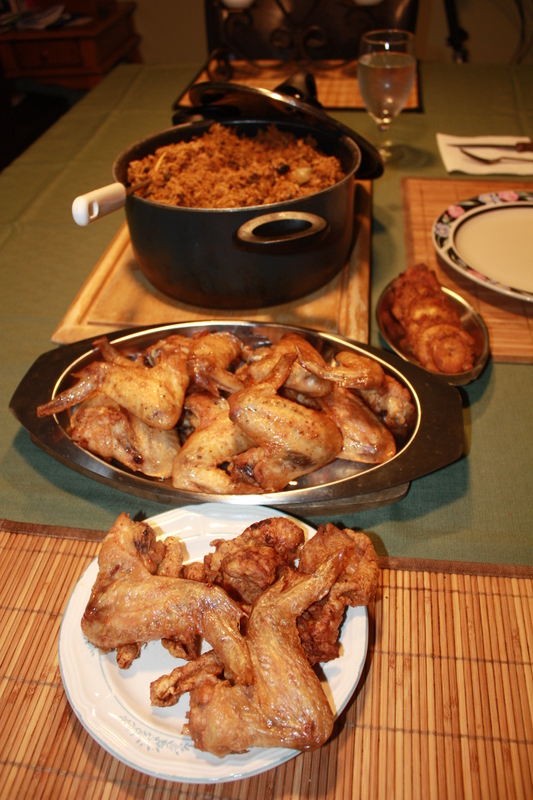 Let me start by saying that the above photo that features, arroz moro, plantains, and chicken wings, is not what Alex eats. Once in a while I do mix a very small amount of rice and beans with her food to add taste and fiber, but not this particular rice, arroz moro, because it has a lot of seasoning and it throws off her stomach, but what I do give her is a mix of white rice, not featured in the picture, and chicken wings. 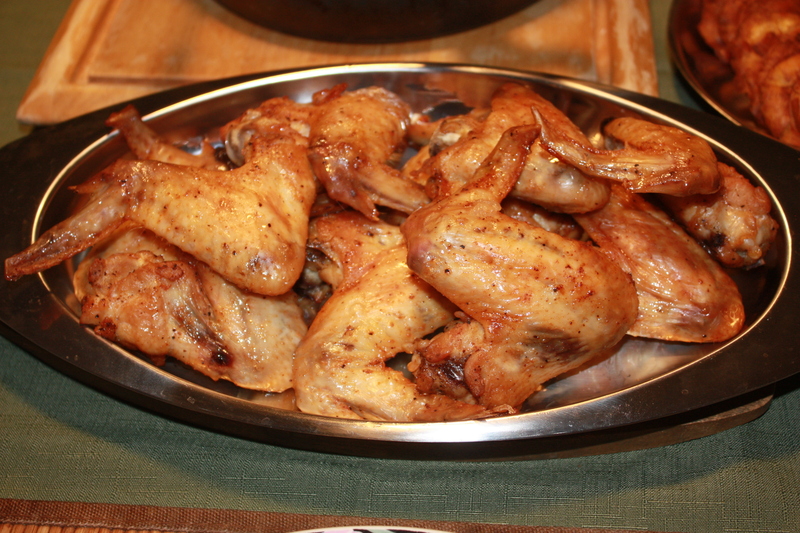 Alex’s chicken wings are not seasoned at all and they are cooked in the oven. I removed all the bones from the chicken wings, added the rice and chicken mix to her kibble, and she devoured her food. 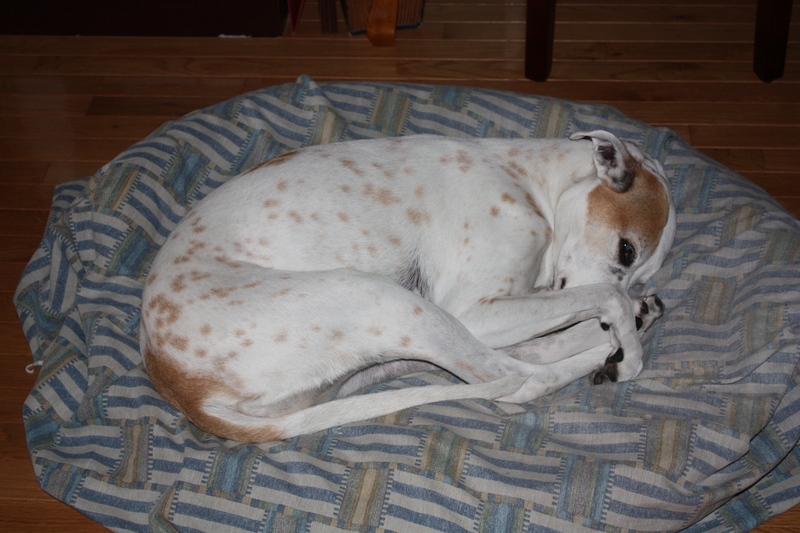 Because I’ve done this for a while, she gets about ¼ to ½ cup of human food and the rest, ¾ to ½, is her kibble. Anytime I want to introduce a new food to Alex, I always add a very small amount of it until she gets used to it. Please, do not feed your dog something new in large quantities because it’ll cause her to have an upset stomach and you may have to take her to the vet. My picky daughter likes variety therefore I have to come up with new things to add to her kibble. Alex is 11 years old so I have to be careful and pay close attention to her diet. If you are unsure about what to feed your dog, the best person to answer your questions is your vet. Have a great weekend. This entry was posted in Breeds, Dog Equipment, Dogs, Humor, Nutrition, Outings, Walking and tagged Chicken, Cook, Dog, kibble, Poultry, Rice, Seasoning. Bookmark the permalink.